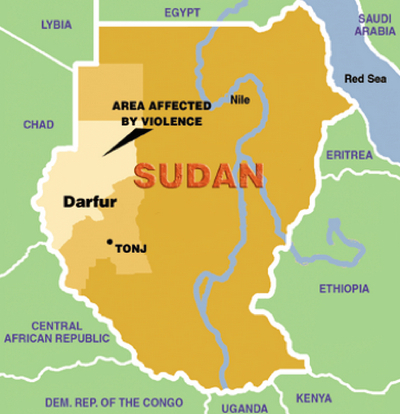 At least 60 people were killed this week in Sudan's Darfur region — where hundreds died fighting over access to a gold mine early this year— when the mine they were working in collapsed Monday, officials said. Police spokesman Ahmed Amr told Reuters confrontations between two tribes over rights to extract the precious metal in Darfur broke out in January, and that authorities had closed the mine after several people were killed in the violence. It had since reopened. Rescuers have been using traditional tools to try to reach the miners amid fears that more wells may collapse. Sudan is trying to lift exports of gold and other non-petroleum products after the separation of South Sudan two years ago left Khartoum without 75% of its crude oil production. The government hopes to produce around 50 tonnes of gold in 2013, which could make Sudan Africa's third-largest gold miner and push it into the top 15 producers globally.